Student outcomes inequality highlighted in latest Fair Access Commissioner paper. 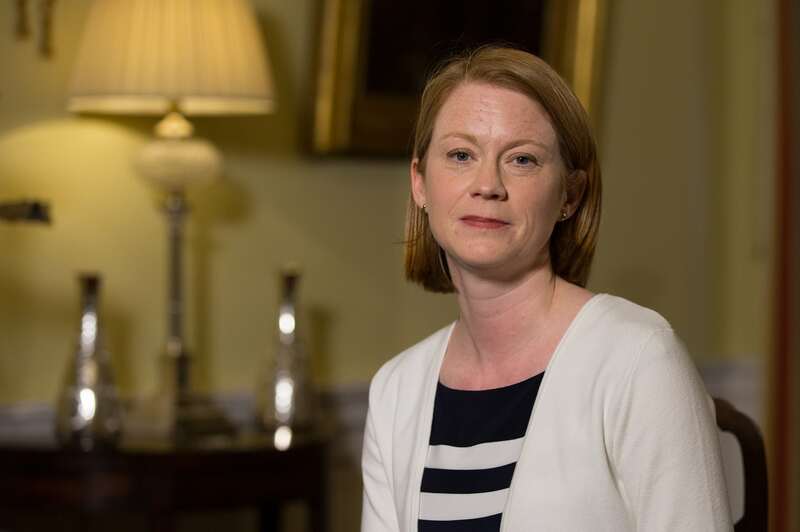 Higher Education Minister Shirley-Anne Somerville has urged the university sector to do more to support students from the most deprived backgrounds throughout their studies. It comes as the latest discussion paper from the Commissioner for Fair Access shows the extent of the gap in retention rates, achievement levels and outcomes between students from the most disadvantaged communities and those from better off areas. “This report brings in to sharp focus the extent and the range of the barriers which result in students from the most deprived backgrounds experiencing inequality at every step of their journey through university and into adult life. “The Commissioner sets out a timely challenge to us all to do more to address this shocking inequality. Certainly I accept that challenge on behalf of the Government and would encourage universities to do likewise. “It is an issue that I have raised consistently with university principals and intend to do so again through the next Widening Access Delivery Group. I have already asked the Scottish Funding Council to consider changes to the university outcome agreements. If more needs to be done to improve their effectiveness, then I will not hesitate to act. The Commissioner for Fair Access Discussion Paper: Retention, Outcomes and Destinations can be viewed on the Scottish Government website. The post Universities urged to do more to support the poorest students appeared first on Engage for Education. This entry was posted in Professional and tagged commissioner, deprived, fair access, outcomes, Students, Universities, Widening access on 23 January, 2018 by Education News Team. This entry was posted in Professional and tagged Blogging, Creative Writing, DfE, Dyslexia, Dyspraxia, Handwriting, secondary, Spelling, Students, teaching, Testing, Thunks, writing on 6 July, 2014 by Ross Morrison McGill. This entry was posted in Professional and tagged @TeacherToolkit, Academic Reserach, Blogging, Creative Writing, Extended writing, Handwriting, literacy, Pen grip, Power grip, Precision grip, secondary, Students, teaching, writing on 27 May, 2014 by Ross Morrison McGill. This entry was posted in Professional and tagged @TeacherToolkit, Blogging, Education, Home learning, Homework, Parenting, schools, secondary, Students, teaching, teaching and learning on 22 May, 2014 by Ross Morrison McGill. This entry was posted in Professional and tagged @TeacherToolkit, Blogging, Head of Department, Head of Year, Headteacher, Planning, questioning, questions, Reflection, secondary, Students, teaching on 15 May, 2014 by Ross Morrison McGill. This entry was posted in Professional and tagged @TeacherToolkit, Blogging, Catch 22, Childcare, childcare provider, childcare provision, children, Early Years, Edcuation, Parenting, Parents, secondary, Students, teaching on 4 May, 2014 by Ross Morrison McGill. This entry was posted in Professional and tagged @TeacherToolkit, Autism, Blogging, Good to Outstanding, inspection, Mike Cladingbowl, Ofsted, ofsted inspection, secondary, SEN, Special needs, Special School, Students, teaching on 17 February, 2014 by Ross Morrison McGill. This entry was posted in Professional and tagged assembly, Blogging, classrooms, Equality, Evidence Based, exams, failure, Free School Meals, Gang culture, Gangs, Greig City Academy, Inspiring stories, League Tables, Oxford University, Parenting, Parents, secondary, Single-parent, Students, teaching, The Brilliant Club, University on 8 February, 2014 by Ross Morrison McGill.